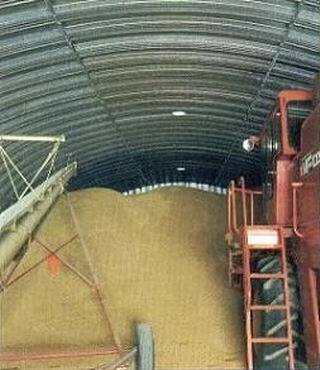 Enterprise "STROIEX" (Ukraine) offers galvanized steel arch granaries, produced in Dnipropetrovs’k at the American WSB equipment and technology. at width of 18 m. = 1200 t.
The length of storehouses can be every defined by the Customer. 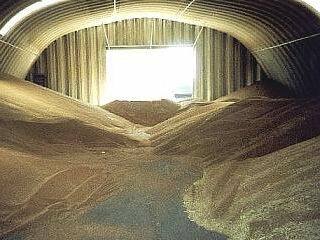 Furthermore, it is possible to use a building as sheltered threshing-floor, garages, warehouse, and production facilities. Delivery is carried out in 15 days, shipment by automotive transport (one vehicle = ONE building of 15x30 meters complete with the metal basis).